After the Khmer Rouge genocide, many children in Cambodia were left without parents. These children are now grown, and Samaritan’s Purse is teaching them basic skills to care for their families. Courtney Keen, a writer for Samaritan’s Purse, recently visited Cambodia to learn about our women’s programs. Put the water in a pot. Place it over a fire. Heat it until it bubbles and rolls. Who taught you how to boil water? How old were you? 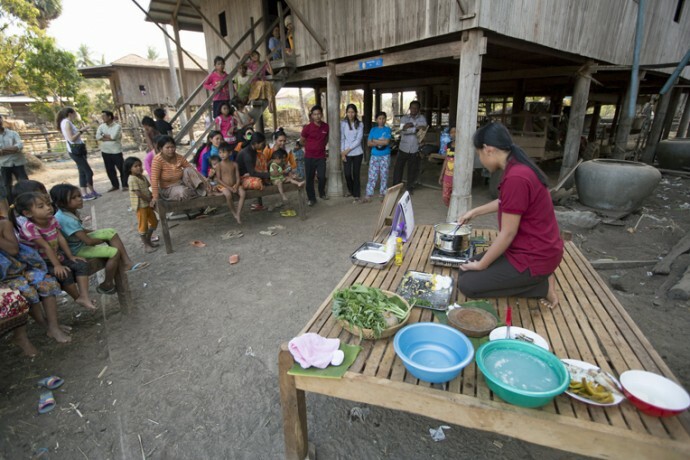 Mothers in Dounmea, a rural Cambodian village, are learning how to boil water for the first time. They are learning to add pumpkin, eggs, greens, and fish to rice dishes so that their malnourished children can become healthy. 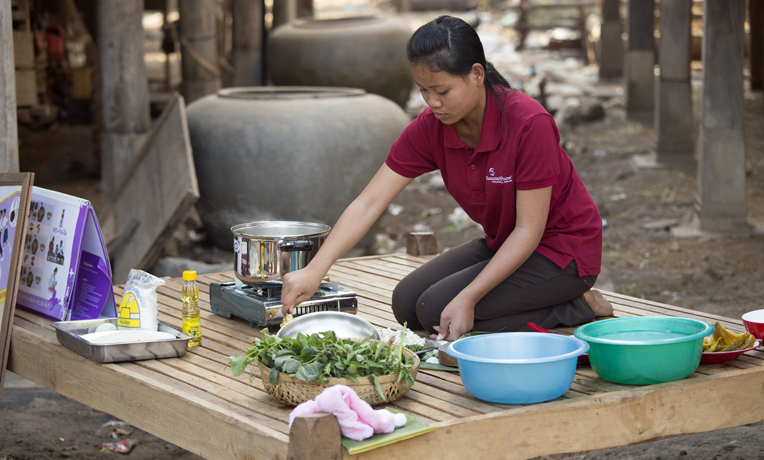 Because many women in Cambodia grew up without mothers, they are just now learning to do simple things like cook nutritious meals for their children. Doesn’t everyone know how to boil water? Don’t all mothers and grandmothers help young women learn how to care for their children? When virtually an entire generation is wiped out, the foundational knowledge that passes down from a mother to a daughter vanishes as well. Cambodia lost millions of people in the Khmer Rouge genocide during the late 1970s, and the country still suffers from its effects. Medical professionals became virtually extinct. Classrooms were left without teachers. Parents never returned home. As with many crises, the poor—especially the women and children in remote areas—suffered the most. The effects extended even into the loss of common acts like feeding children nutritious food three times per day. 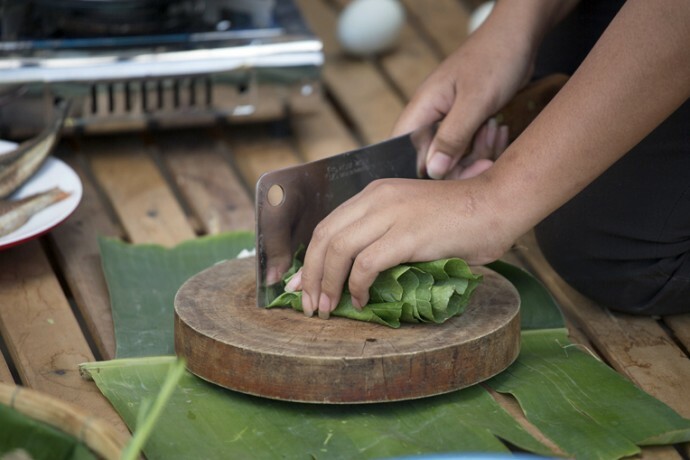 As I watch a Samaritan’s Purse cooking class in Dounmea, a place where houses stand tall on stilts and palm trees reach high above, I can barely wrap my mind around the fact that we are teaching women how to prepare a basic meal. Our health and nutrition educator holds up step-by-step instruction posters next to a large demonstration table with ingredients and cookware. At the class, Samaritan’s Purse staff members train the women by using pictures. When the water comes to a boil, pour in the rice. While it cooks, peel the pumpkin, pull the hard covering off the eggs, and take the bones out of the fish. I look at the little feet dangling from the platforms where children sit with their mothers to watch and learn. A rainbow of flip-flops lay scattered around the edges. Which of these children are malnourished? Which ones had a bath this week? I’d be naïve to think I know what it will take for the people of Cambodia to recover all that they lost during Khmer Rouge. But as a Christian, it seems like holy work to help bring restoration even in small ways—perhaps starting with lessons on boiling water. I do know that Samaritan’s Purse is the first and only organization to reach out to many remote Cambodian villages like this one. Day after day, our staff travels down long, bumpy, red dirt roads to gain the people’s trust and offer life-saving help and hope that can only be found in Christ. Right now, our Maternal and Child Health program is focused on helping women in Dounmea and more than 20 other villages have safer pregnancies and practice better nutrition for themselves and their children. We are teaching things like cooking healthy food, implementing good hygiene, and the importance of giving birth at a medical facility rather than at home or out in the forest. As a result, mothers are seeing their weak children become strong. Pregnant women are accessing health centers, and more babies are surviving. Through the program, we hope to give these children a chance at a healthy life so they can be the future of Cambodia. When the rice is soft, mix in the other ingredients. Add the greens last. At the end of the cooking demonstration, our health and nutrition educator asks the women to review the steps with her. After a moment of shy silence they begin shouting out answers and laughing a little bit together. I picture them repeating this meal for their family later today, and again tomorrow, and the next day. I think of them teaching their older children how to cook with nutritious food. I imagine the skinny arms and legs getting bigger and healthier. One woman gets up to follow her wandering toddler across the yard, and I think about how these are the mothers of Cambodia’s next generation. These women who rise early to clean their houses, dress their children, and farm rice and cassava under the hot sun all day—they are the ones with an opportunity to pass down new, healthy habits that they never saw growing up. They are brave to come today, to still believe in the chance of a better future for their children. I believe it with them. 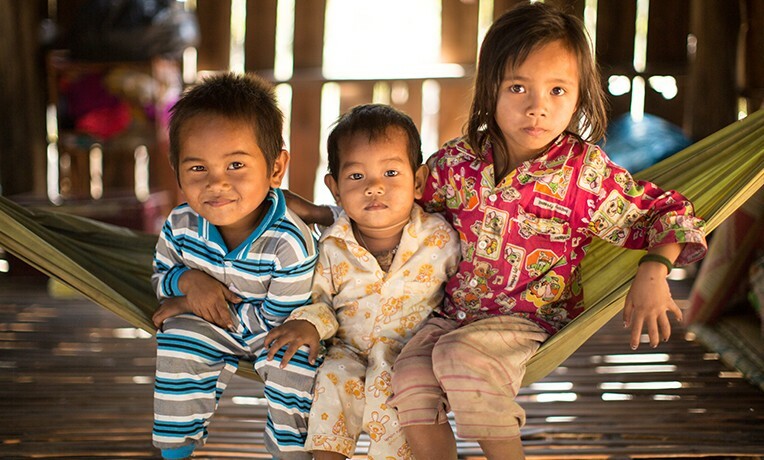 Cambodia - Maternal and Child Health Your gift can help Samaritan’s Purse reduce the mortality rates of women and their young children by improving obstetric care, teaching essential nutrition practices, and increasing access to quality healthcare. The physical relief we provide in the Name of Jesus Christ mobilizes our local church partners and earns them a hearing for the Gospel.